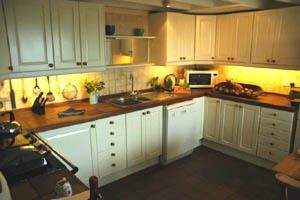 * There is a Rangemaster electric cooker with two ovens and six ceramic hobs, larder fridge with a three-draw freezer, a microwave oven and dishwasher. 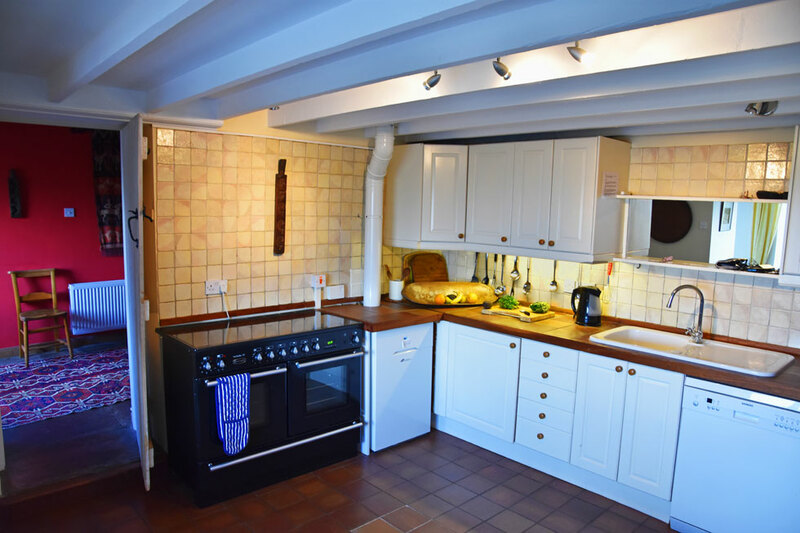 * Large work surfaces, good quality heavy-based saucepans, casseroles, sharp knives and selection of modern kitchen appliances including a toaster and kettle. The crockery is white and plentiful. 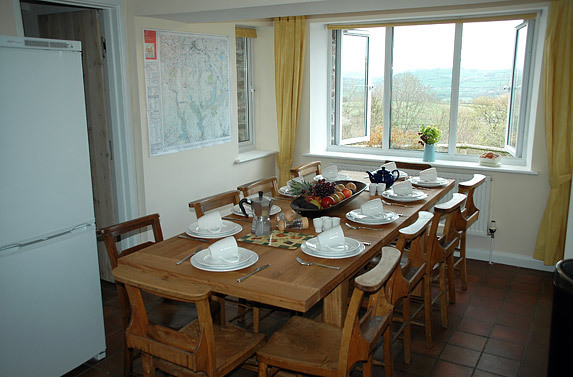 * Overlooking the kitchen table a large OS map pinpoints Llwyn-y-Fron’s location in the National Park – with relevant scale highlighting the region’s walking and cycling routes. 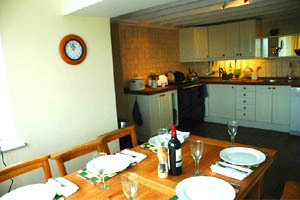 * Off the Kitchen there are three stairs down to the Utility/Boot Room, and a Shower Room with WC. From here the stairs also climb to Bedroom 2 (double) and Bedroom 3 (double or twin).